You are here: Home / Money / Business / Business As Usual: The NFL, NFLPA, the Super Bowl and the Killings of Black Citizens. Business As Usual: The NFL, NFLPA, the Super Bowl and the Killings of Black Citizens. (ThyBlackMan.com) Black America and its long and continuing walk toward the goals of social justice and economic freedom, is at an inflection point. But, not only is Black America and its causes are, at an inflection point, the organization which sponsored the 2019 Super Bowl, the National Football League (NFL), is also at that same inflection point. The definition of an inflection point is a turning point, a watershed moment, a cross roads, or bend in the road. The killings of blacks by errant police officers and their proxies, the protests by NFL players – who knelt during the national anthem over the abuses and the killings, the NFL’s appalling reaction, as an organization to the players, Mr. Trump’s reaction to protests regarding the kneeling of the players, have brought us to this crucial point. However, unless we are able to put what has occurred as it relates to, the killings of African Americans and the Super Bowl in a historical perspective, we cannot fully understand and appreciate the roles of these entertainers, the largely black protesters, Mr. Kaepernick, the NFL, and the National Football League Players Association (NFLPA), which is seventy percent black. Let’s be clear and state what Gladys Knight and the other performers display of self interest was about and how it hurts Mr. Kaepernick and the movement of stopping the killings of black citizens by errant police officers and their proxies. When you look back at Black America’s movements and fights for total freedom; there has always been a common reaction to our rising-up by those, who exercise oppressive behavior. This common reaction was observed and done by the Sanford city leadership during the protests to have the chief of police removed during the Trayvon Martin demonstrations. And that common reaction, which is universal across this nation, once protests arise against racism, whether its marching peaceably, rioting, kneeling as Kaepernick did, or boycotting, the oppressor always calls for “let’s go back to business as usual,” and “let’s put this behind us and go back to the atmosphere, that was prevalent before this blow-up of protests occurred. They call for “business as usual,” without exception, before discussing and putting into action the requested or demanded solutions of the protesters. This is what happened in Sanford. The Sanford business community was not allowed to go back to practicing “business as usual,” without addressing the issue of George Zimmerman killing Trayvon Martin and the pro-Zimmerman position of the chief of police. By appearing in the Super Bowl, the entertainers who crossed the picket line set up by “ A listed entertainers,” like Jay Z, and Rihanna, aided and assisted the NFL to practice “business as usual.” They essentially supported the NFL’s agenda, when it came to not rehiring Mr. Colin Kaepernick. They also supported the National Football League Players Association, and its refusal to use part of the $89 million, given to them by NFL owners, to directly impact the killings of black citizens by errant police officers and their proxies. The bottom line is, Gladys Knight and the other performers in the Super Bowl, operated in their own self interest and did not operate in the greater interest of Black America. This is compelling because you got to wonder, what will it take for people like Knight and others to operate in the greater interest of black citizens? Apparently, the statistics stating blacks are being gunned down at two and one half times the rate of the general population, when it comes to the killings of black citizens, are not convincing. Will it take us dying at five times the rate or maybe ten times the rate of the general population, before entertainers, like Gladys Knight set aside their selfish money interest? So, whatever spin these Super Bowl entertainers come up with and promote, when it comes to their participation, in assisting the NFL and its 32 white, largely Republican owners, who also are generally monetary supporters of Mr. Trump and his agenda, when it comes to race, is not sound and makes no logical sense. They are essentially people, who do not have any respect for the integrity of the movement to stop the illegitimate killings of black citizens and who knowingly acted against the best interest of Black America for personal gain. Finally, ninety eight percent of the killings of Black Americans is white on black. Recruitment of police officers is down by 50%, due to the protests against the abuses and killings of blacks. We, who have gotten into the streets protesting the abuse and killings of our brothers and sisters, are doing our job as evidenced by the recruitment stats. Now, let’s demand these insensitive players, who got paid $89 million to stop kneeling, due to Mr. Kaepernick’s campaign, also do their jobs. 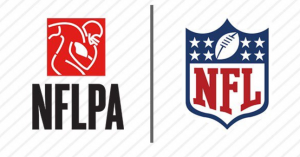 The NFLPA through the NFL, could fill the need, when it comes to hiring new police officers, through a national recruitment program, aimed at blacks, using part of the $89 million given to it, bringing the needed sociological change, in this profession. This is well within their protocol, as professional athletes and would make a long term difference. This would go a long way in breaking the grip whites have on this profession and usher in more accountability. Blacks when they have flooded into professions in the past dominated by whites changed those professions forever and for the better sociologically. These athletes can look to their own professions as examples. Where you and others stand on issues does affect the quality of your life. If you don’t believe me … check out the comments below regarding Hoover, Alabama, where E.J. Branford Jr. was shot in the back three times at a mall within 2-3 seconds. Just keeping it real for many of you, who think. Rihanna Getting Well Deserved Thanks for Keeping It Real!